This race-ready air cleaner can flow the amount of air required for the Holley Dominator carburetors. It has a 7-5/16'' flange base and a 3/4'' rise velocity stack. 60-1640 is rated 4.0 out of 5 by 1. 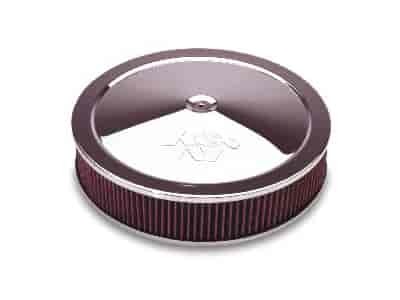 Rated 4 out of 5 by Jeff P from Quality product The filter, base and top are well made. The base will fit the original Dominator and the new Gen 3. Maybe a bit pricey for what it is.